NBC 5 hears from a lot of consumers who say they were ripped off at a local auto shops in North Texas, and it seems women may be getting the worst of it. According to a new study by RepairPal, one in four shops in Dallas could be overcharging women for repairs. Now, two North Texas gals are hopping in the driver’s seat to give women what they deserve. Robin Mainer and Kimera Shepler were fed up by the way they were being treated at local auto shops. They allowed their frustration to be the driving force behind a new business that treats everyone fairly. Feisty and fearless, these ladies are rolling up their sleeves, ready to give women exactly what they’ve been asking for. “We can't find people to respect us, to treat us honestly and explain what they're doing to our car, then it's time to change,” Mainer said. Mainer and Shepler have visited their fair share of shops in the DFW area, and some of their experiences have been anything but pleasant. They say it all boils down to respect, or the lack thereof. Women are overcharged by an average of eight percent compared to men nationwide, according to the RepairPal study. Women are often denied over-the-phone estimates, quoted higher rates on luxury cars and stereotyped, the study said. 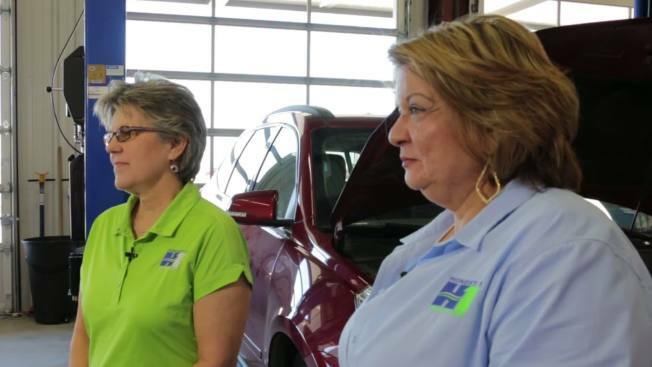 After several unsatisfied trips to the auto shop, the ladies decided to put their insurance backgrounds to the side to start their own repair business. With the help of family and friends they opened Honest-1 Auto Care North Texas. They say they’ve hired the best in the business to make their customers feel at ease. In a field dominated by men, they say a woman’s touch might just be what North Texas drivers need. “It's kind of like Cheers you know, where everyone knows your name, that's what we want to be with Auto Repair,” said Mainer. Honest-1 Auto Care North Texas is located at 4740 Windhaven Parkway in Lewisville.